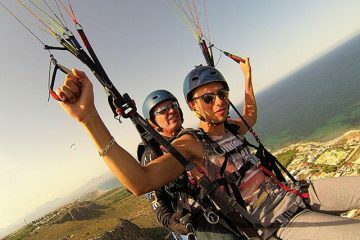 You will flight and steers the paraglider over the most beautiful landscapes of Alicante, it will be like your first paragliding lesson. 20 to 30 min flight time. 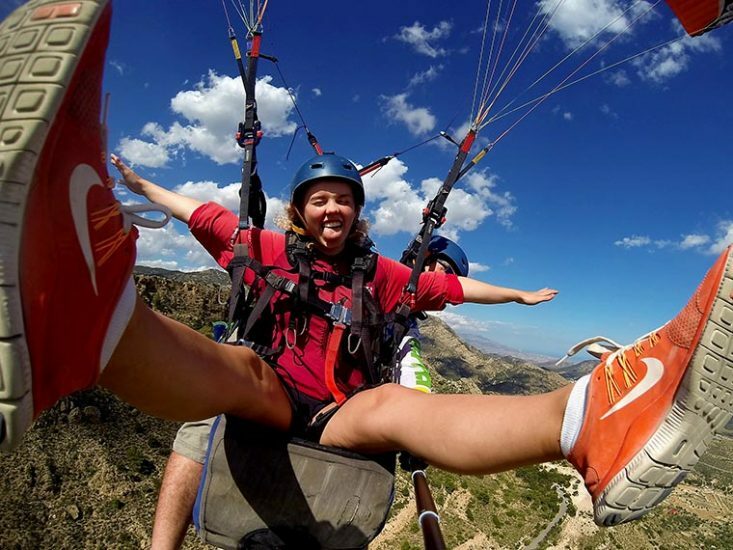 You'll steer the glider by yourself Acrobatic session. 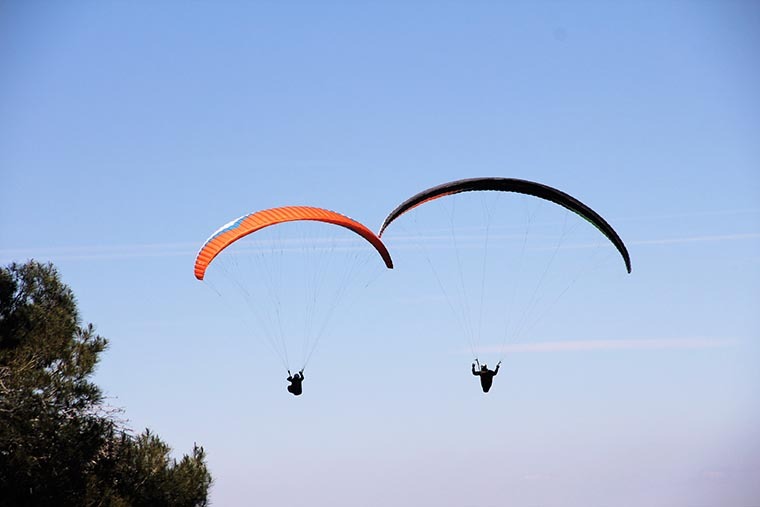 Between 20 and 30 minutes of tandem paragliding. 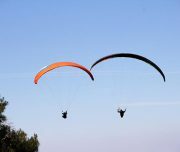 Include an Acrobatic flight session. 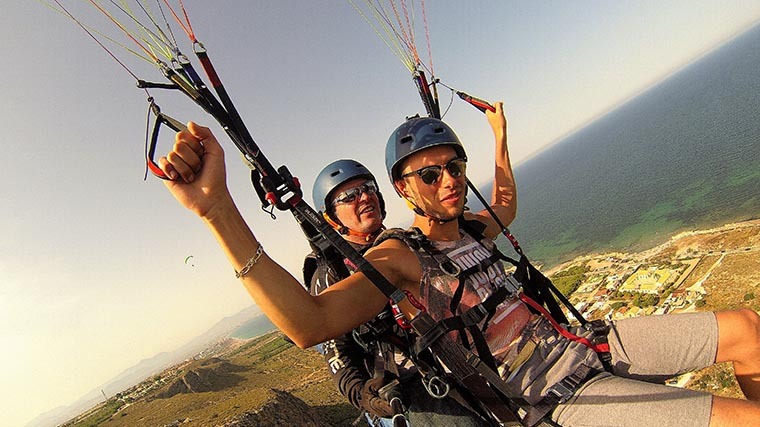 Enjoy the fantastic views of the Mediterranean sea or the wonderful mountains of Alicante. Our 20 years experence pilots will make you enjoy a noteworthy and safe experience. Where are we going to flight? First of all we will give you an introductory talk where we will explain step by step how we will do the activity. Where is the pick up point? Av. Cantabria, 2, 03130 Gran Alacant, Alicante. How long does the whole trip take? 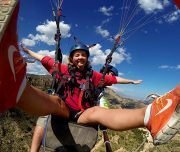 How long will my paragliding flight last? We rely on mother nature, so it can vary quite a bit. Can I bring my camera during the flight? 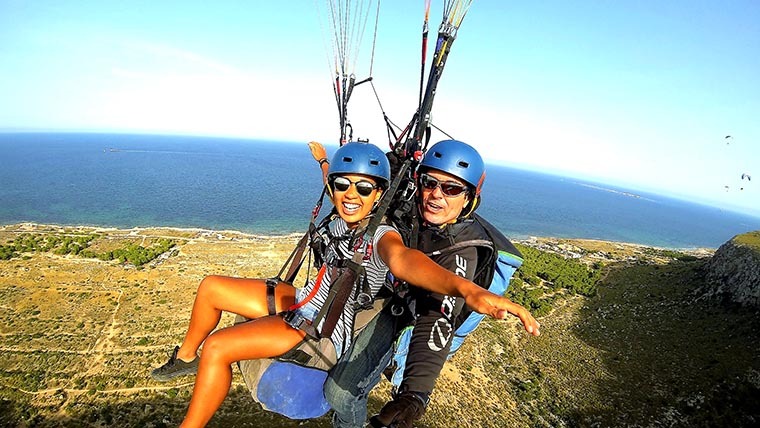 You can bring your little action camera on your paragliding flight as long as it is mounted on a chest harness. Big SLR cameras are a no go as well. Yes. 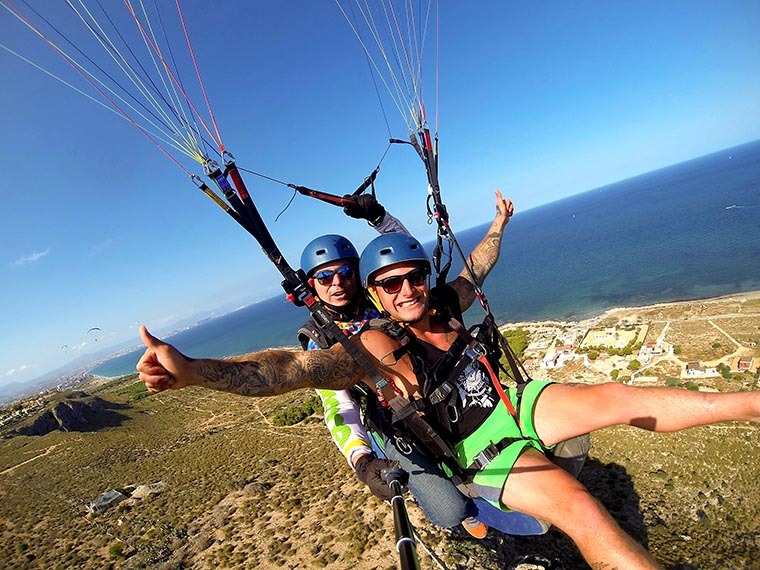 The minimum weight for a passenger on a paraglider is 50 kg, the maximum is 120kg. We’d love you to bring a friend along to watch as long as we have got room in the van. There is a small charge of 10€ per spectators. If the trip has to be cancelled due to weather conditions, there are no cancellation fees. However, if you cancel your trip within 48hr of departure, there is a 20% cancellation fee applicable. Cancellations within an hour of departure require a 50% cancellation fee. No refund is given, if customer is not turning up on time for departure of the trip. Do I need to declare any Medical Conditions? And what are they? It is important for all customers to declare any of the below medical conditions. Please note this does not necessarily exclude a person from doing our activities. Do you do photos and videos? 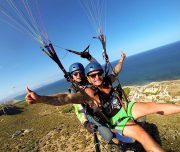 We are a small company based in Alicante which delivers outstanding adventure travel experiences. 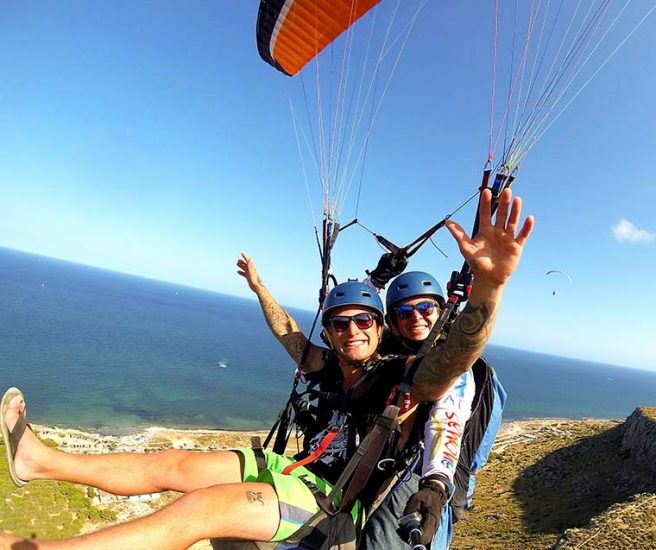 Is it safe to fly in Paragliding? 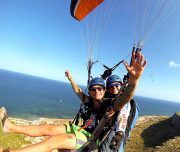 Paragliding, Skydiving, Air Balloon whats the difference?